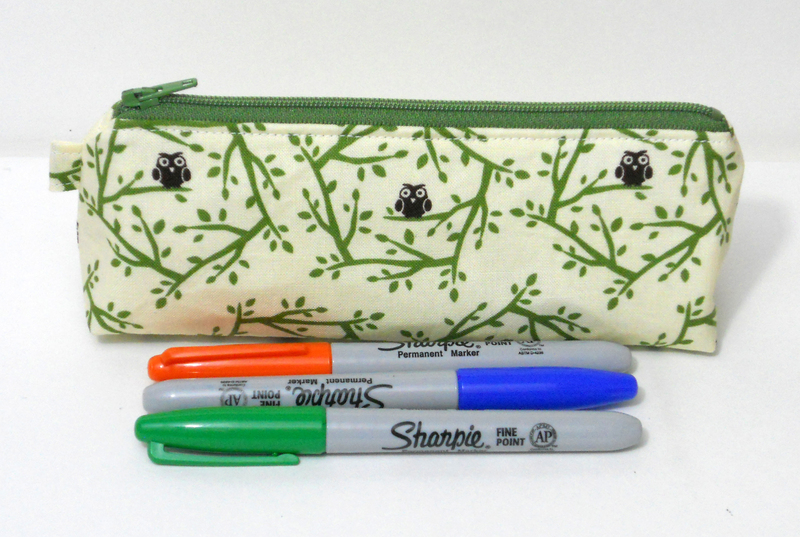 Inspired by a custom order, I decided to add a third pencil case size to the shop: small! Perfect for crafters, as they can hold a fair amount of crochet hooks. And taggers, since they can comfortably hold 12 sharpie markers and still maintain their shape. 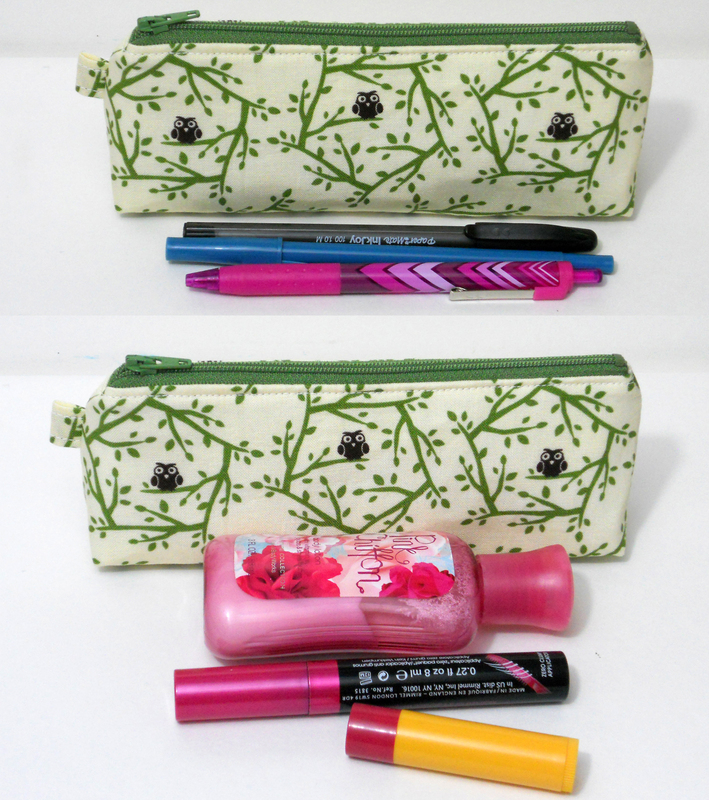 They’re great little bags to tidy up your purse, collecting all those things that get lost down on the bottom. 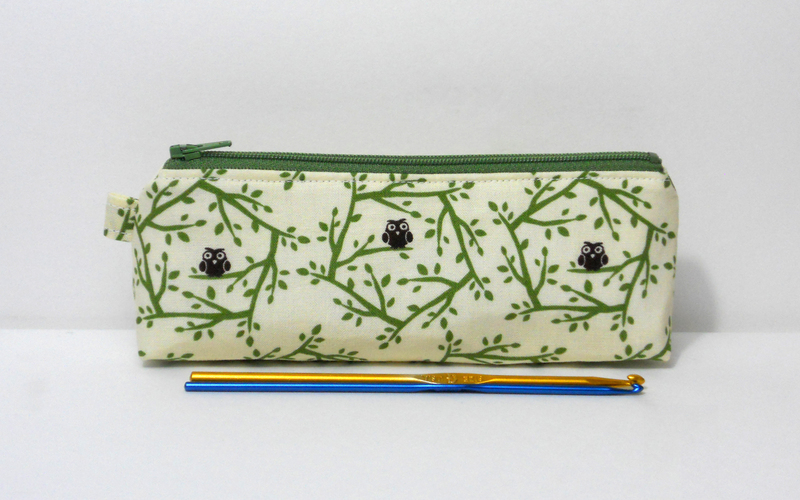 To create them, I simply shaved down my pattern for the “Slim Pencil Case“(which can fit a full-sized unsharpened pencil!). I also decided to make multiples of some prints. I’ve focused on making One of a Kind bags for a couple of years now, I thought it was time to change it up a little bit.